Editor’s Note: With Pastor Greg away on renewal leave, we will have guest writers throughout July. Pastor Phil Estes kicks us off. These two lighting projects alone will save over $8,500 per year in electrical utility costs. Best of all, the cost of the fixtures will be paid for by a rebate from Ameren Missouri. 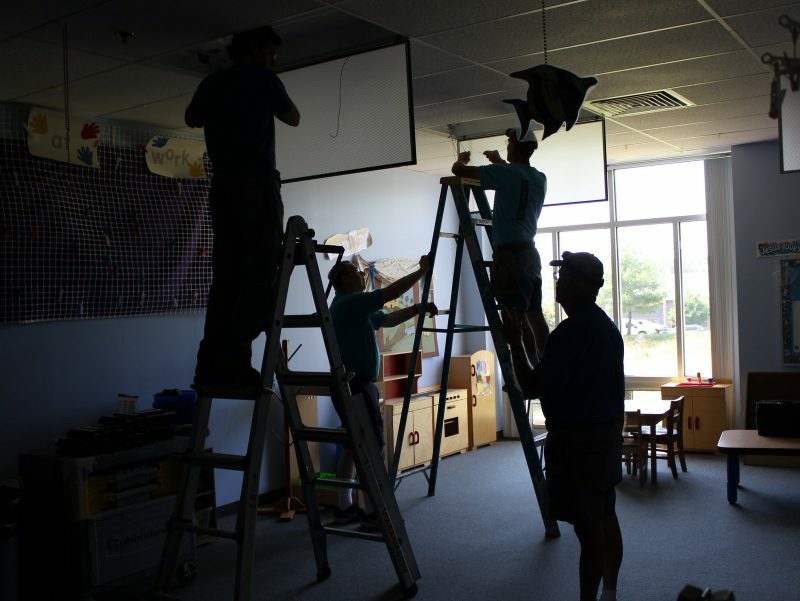 In addition, LED lighting has been installed, and paid for in part or in whole, with rebate incentives, in the narthex, sanctuary, chapel, fellowship hall, and the parking lot over the last four years. Since that time, we’ve seen our electric utility costs drop by $27,000. This is outstanding financial and energy stewardship, and we pledge to continually strive to make the most of our resources every day. Your financial support of this ministry is helping light the way for Christ, both here and in our community. Thank you for your faithful giving to Manchester UMC! PS: Our church has many needs but two of the most critical are the replacement of our heating and air conditioning system, and reducing our mortgage debt. You can give to either fund online. You can also make an ongoing pledge online. Join us on the main parking lot to enjoy a great view of the Manchester fireworks. Concessions open at 6 p.m.; fireworks begin at 9:15 p.m. All proceeds benefit the Bike Rehab Ministry. With Pastor Greg on a renewal leave in July, each of our other pastors will preach this same theme. Each will take a weekend and preach all services. Pastor Phil Estes kick things off this weekend. If you happen to miss a weekend, be sure to catch the video online. Our midweeks feature music, prayer, and scripture. There’s no midweek on July 4, but we return on July 11. Sharing their faith with us will be Ben and Laura Hale from the congregation, and Pastor Phil Estes.